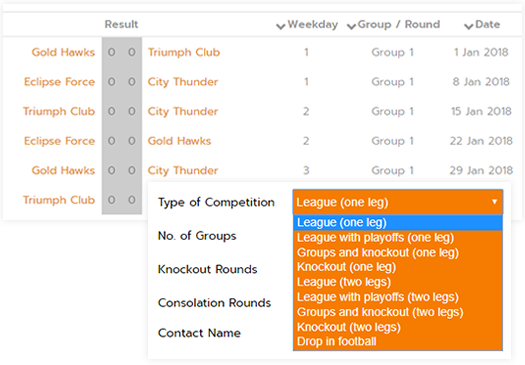 Create brackets for any type of knockout tournament. 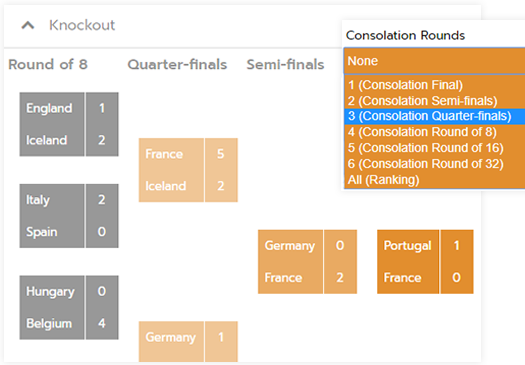 Match higher-seeded teams against lower-seeded teams or generate a blind draw. 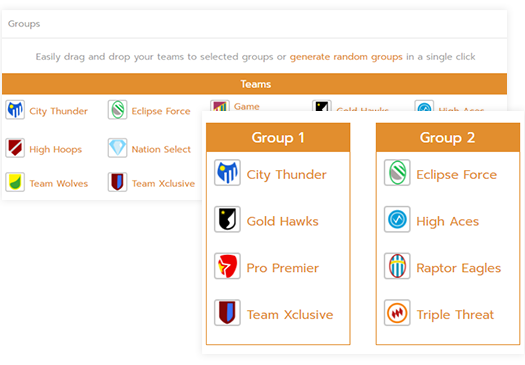 Customize the brackets to your needs by adding players/teams, ordering games and publishing them on-the-fly. Pre-rank your participants based on their strength or season record if you would like to create a seeded draw. Add teams to the bracket according to your preferences. Alternatively, opt for a blind draw that can be generated in a single click. Break your participants into two sets of brackets, allowing them to play at least twice, with three quarters playing three or more games. The first-round winners proceed into the winning (upper) bracket and the losers proceed into the losing (lower) bracket. Determine easily third and fourth places without the use of a consolation matches. Use single or double round robin brackets to determine your champion in the fairest way possible. Reduce the element of luck so that one or two bad performances would not cripple a competitor's chance of ultimate victory.